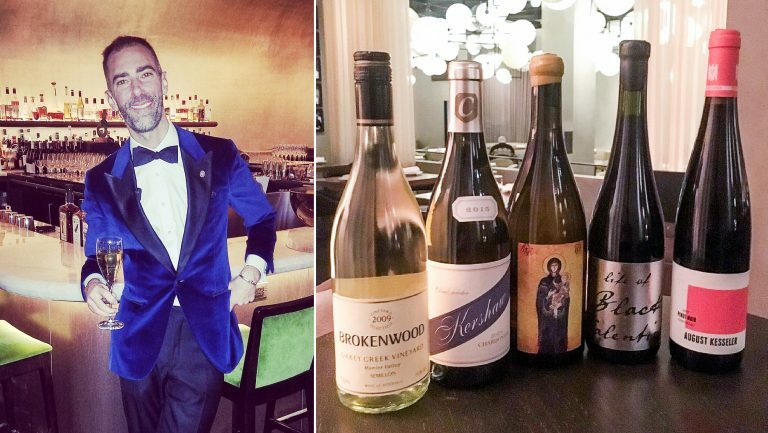 In our series 5 Bottles I Sold Last Night, sommeliers and wine directors talk about the bottles that they’re selling, giving tips and context for making the sale. It seems just about everybody in Chicago has a story about the Pump Room—the Ambassador Hotel’s legendary dining room, which was long touted as the place in town for great food and good times and which reopened in November 2017, under the restaurant group Lettuce Entertain You Enterprises (LEYE), as Booth One, the restaurant where I serve as wine director. With a new restaurant comes a new wine list. The one I’ve created for Booth One consists of 400 bottles—a selection of both Old and New World wines with a strong focus on the Burgundian varieties. Many other varieties are represented, but Pinot Noir and Chardonnay have a special place in my heart. In addition to white and red Burgundies, the list features many Chardonnay and Pinot Noir varietal wines from places as far-flung as California, Oregon, New York, Germany, New Zealand, and South Africa. Although a big part of the dining experience at Booth One is a celebration of the venue’s past, our staff is also excited about the future. 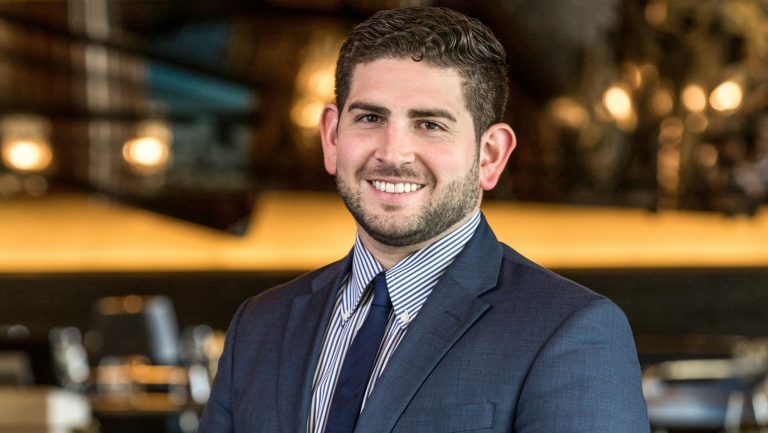 Our executive chef, Doug Psaltis, is attracting a whole new generation of guests with a menu that features his contemporary takes on classic dishes. I take pleasure in helping our guests select wines that’ll perfectly complement their meals. I also enjoy introducing them to boutique winemakers and helping them discover wines and regions they’ve never heard of before. And I’m big on budget-conscious options. If I sell a bottle that costs less than a guest’s limit, it helps inspire loyalty. If I sense a guest is hesitant about trying a bottle from a region they’re unfamiliar with, I always remind them that if they don’t like it, we don’t expect them to pay for it. That policy helps establish trust, and it can be the catalyst that expands the customer’s horizons. I also love to wear colorful sneakers with my suits, which helps put customers at ease and creates a sense of comfort and fun. Here are five bottles I sold last night (the prices shown are the prices charged by Booth One). This is one of my go-tos. It’s a 100 percent Chardonnay from the Loire Valley, in a colder area that’s known mostly for the white variety Melon de Bourgogne. The Lux is really unique and nothing like you’ve ever tasted. It’s biodynamic, unfiltered, and unfined, so it has a richly intense body and can come out looking hazy in the glass, which can deter some guests, but the wine retains a lot of flavor complexity and texture. The labels are really cool, too—they’re works of art. I sold this to a large group who came in and gave me the reins on ordering a bottle under $100. They told me they wanted Chardonnay but that one of them didn’t like big, bold, buttery styles—and some of the others didn’t like Chardonnay at all. They were starting out with a lot of seafood and shellfish, which I thought would pair well with the Lux. When I poured it, they just loved it—and even those who didn’t like Chardonnay asked for a glass since it was so unique. They ended up getting multiple bottles. With some French Chardonnays, you can get into pretty pricey bottles, so when guests say they love Côtes de Beaune but aren’t looking to spend $200 on a bottle, I like steering them toward the Richard Kershaw Elgin Chardonnay. Kershaw, the founder and winemaker, is a Master of Wine from England who moved to South Africa and planted his Dijon clones in the cool climate of Elgin. The wines show a very restrained use of oak and are limited in their exported allocation, and everything is hand-tended, so the quality is extremely high. It’s a lovely expression of Chardonnay, but it also tastes uniquely like South Africa. It’s fantastic. A couple at the bar came in to the restaurant and said they were looking for a Puligny-Montrachet, but they weren’t looking to spend what the bottles on our list cost. I asked if I could take them to South Africa. The husband was a bit hesitant at first, but I reminded him that if they didn’t like it, they wouldn’t have to pay for it. But that wasn’t a problem. After I opened it, they were totally floored. They kept thanking me for introducing them to it and telling me how incredible it was. August Kesseler is a winemaker with a colorful personality who has spent a lot of time at the Ambassador Hotel and the Pump Room. His wines are always meticulously crafted, and most of his Pinot Noir comes from the village of Assmannshausen in the Rheingau. Kesseler changed his labels to use the more widely recognized term Pinot Noir for the variety rather than the German name, Spätburgunder, which I think was a smart move. I had a table looking for a Pinot Noir, but they didn’t know where to go with their selection. My response was, “We should go to Germany and try August Kesseler.” I regaled them with the stories he’s shared during his stay at the hotel. This wine offers the body of a riper New World wine but has this really beautiful, rocky minerality that comes through. As you’re experiencing it on the front palate, you’ll get juicy dark fruits, and on the back palate, an intense rush of minerality. It went over extremely well. They told me it was the wine of the night. The winemaker for Blankbottle, Pieter Walser, is a salt-of-the-earth farmer who’s obsessed with making good wines in a maverick kind of way. He basically makes a wine for a year, and that’s it—he doesn’t make that wine again. This bottle is a non-vintage blend of Southern Rhône varieties: Syrah-based with Mourvèdre and Cinsault. Every time I sell this wine, people are blown away by it. I had a couple of friends in the wine industry come in, and they told me to choose a wine for them. They said they’d spend $150 to 200 on a bottle, and they were going to order duck and beef Wellington, so they wanted something that’d pair well with those dishes. They were floored with this wine, and they received an even nicer surprise when the bill came and they saw it was just $65 a bottle. 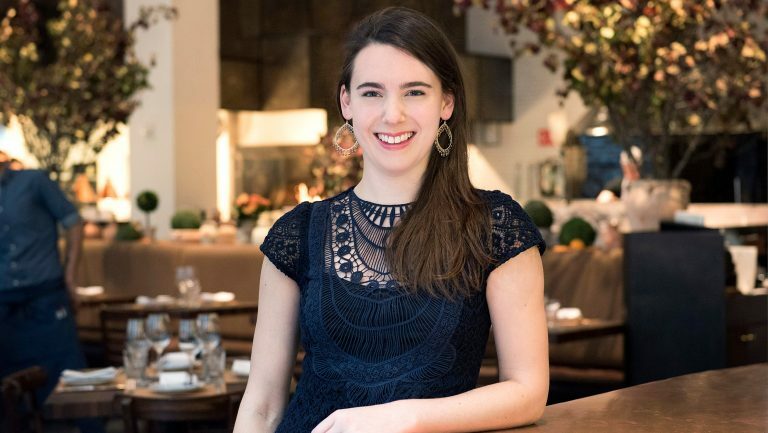 They told me the highlight of their meal was the wine—it was very cool to be able to introduce it to contemporaries who are in the industry and hadn’t heard of it. This is a 100 percent Sémillon wine from Hunter Valley on the Eastern Cape in Australia, which is a less well recognized appellation than Barossa or Clare Valley. Most people don’t drink aged Sémillon unless it’s a Sauternes dessert wine, but this dry Sémillon is a really unique single-vineyard wine, and as a 2009, it’s showing almost 10 years of age, so it’s expressing beautiful development. Two women came in and were having trouble deciding what to order. One liked big, bold, buttery Chardonnays and the other liked Sauvignon Blancs. I said, “Let’s try a Sémillon.” As I explained to them, what you’re going to get with Brokenwood is a bigger, bolder body because it’s been resting on its lees, so it has a creaminess, almost a toastiness, but it also has this intense key lime tartness that is reminiscent of high-acid Sauvignon Blancs. They could not believe how complex it was, and how it changed from the nose to the palate. So even when you have people whose tastes are like polar opposites in white wine, you can sometimes have elements that match what both are looking for. And this wine does that quite nicely. 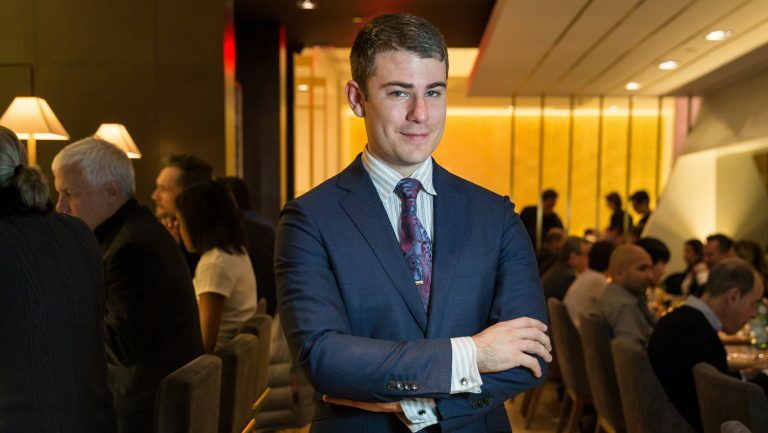 Booth One wine director Seth Wilson has developed a deep knowledge of wine, international heritage, and culture through his studies and explorations of wine regions around the world. 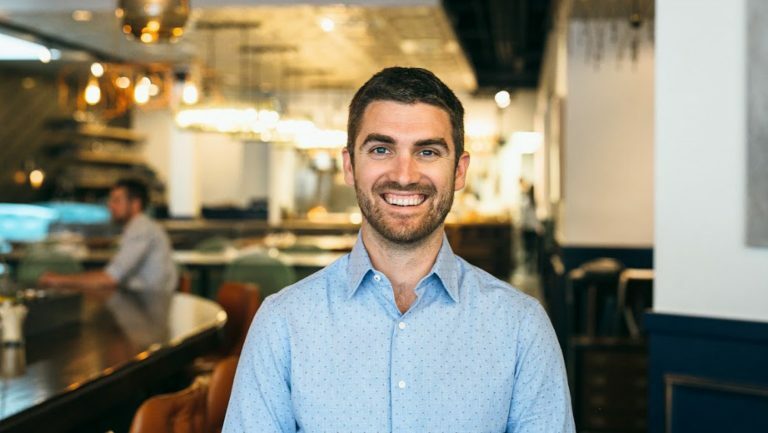 A graduate of Vanderbilt University, where he studied cultural anthropology, French, and Japanese, Wilson has assisted with the opening of several restaurants in Washington, D.C., and Chicago, most recently Booth One. He is studying for his Advanced Sommelier Certification with the Court of Master Sommeliers.